During an appearance on The Late Late Show with James Corden to promote her new collection for Reebok, the 43-year-old was asked whether she had bagged herself a sought after invite to Prince Harry and Meghan Markles big day. Turning very coy, Victoria stammered over her words as she replied: “I, uh, I dont know”. “Shes totally going,” James teased her. James then went on to question whether the Spice Girls star is designing Meghans dress for the nuptials, but unfortunately the answer isnt what we were hoping. “Sadly, Im not, but Im sure shell look incredible,” the fashion mogul said. Aw! Although this is the first time Victoria has spoken out about Meghan and Harrys wedding – which is set for May 19 at St Georges Chapel – former band mate Mel B appeared to give away some exciting details herself last month. “Im going,” she said when she appeared on US talk show The Real. As the audience squealed, Mel continued: “I dont know if I should have said anything,” before adding that all five Spice Girls — herself, Vic, Emma Bunton, Mel C and Geri Halliwell — were invited. Looking down at her cards silently, Mel said: “Im going to go. Im going to be fired”. 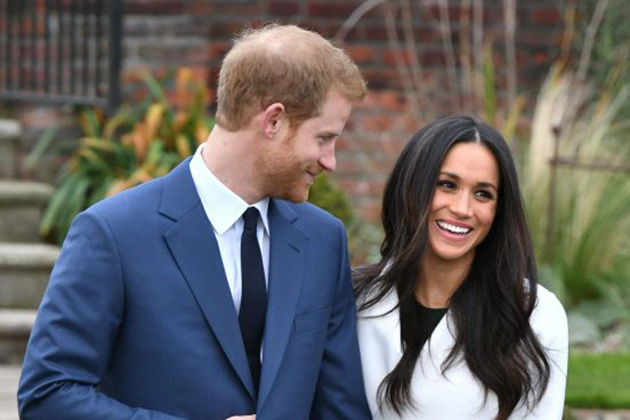 The post Victoria Beckham just confirmed some exciting news about Prince Harry and Meghan Markles royal wedding appeared first on Woman Magazine.